Fifteen kilometres from Javea, Moraira is an old fishing port set along the spectacularly rugged cliffs between the Cabo de la Nau and the Peñon de Ifach. Protected against pirates by a centuries-old castle and watchtower, the romantic setting and ambience of this little town has long captivated visitors. A microclimate ensures pleasant year-round temperatures. Sunbathers go out in search of their own perfect beach, sheltered within rocky coves, while visitors to the town marvel at the antiquity of this truly Mediterranean settlement, where fishermen’s cottages are sheltered from the sea by an ancient retaining wall. 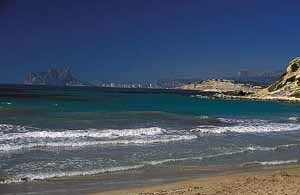 Browse Moraira property for sale listings.